As we approach the fifteenth anniversary of 9/11, the focus of our remembrance is and always must be on the vast human tragedy and suffering. But there also is a part of the overall narrative that ought not to be lost to history – the crushing impact of that day’s events on the financial markets that were and remain critical to the well being of every person, company, and organization in America. “Wall Street” was deliberately targeted by al Qaeda, and close to three-quarters of those killed in New York worked in the financial industry. The U.S. markets were shattered from an infrastructural perspective, with a massive loss of office space and critical capabilities including power and water supply, telecommunications, transportation, servers, and data access and retention. The bond markets – including the government securities market, the largest and most important one in the world – came to a halt. No U.S. stock, options or futures exchange functioned on 9/11, except for a brief interval at best, and none reopened until the following Monday. There also was a massive breakdown in the commercial paper market, vital for banks and corporations to acquire the money needed to meet short-term obligations such as payroll and utilities. The days immediately following 9/11 presented the financial industry with the greatest operational crisis in its history, one that required overcoming a uniquely horrific blend of personal and professional difficulties. 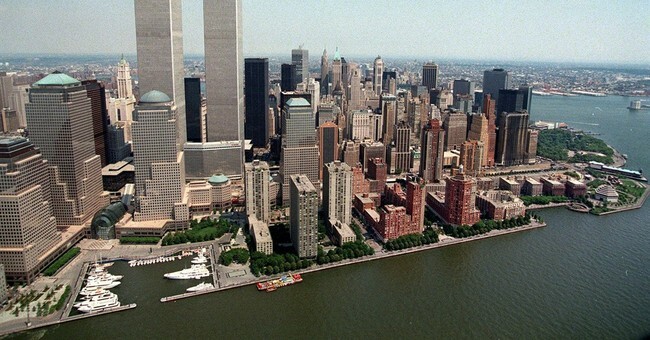 Everyone in that community knew someone who was or might have been in the towers that morning. Far too many had to carry on after having been traumatized by experiencing the human tragedy up close. Individual companies, and the markets as a whole, were revived through the sacrifice and determination of all levels of staff working closely with government officials. Most were ordinary workingmen and women who could have simply walked away for days or weeks, to return only when circumstances were safe and comfortable. Instead, they talked their way through police lines, navigated a difficult route to alternate locations, and endured grim physical conditions including sweltering offices that could not be ventilated because of the acrid outside air. Some continued to work and even sleep in buildings near One Liberty Plaza, which New York City engineers openly feared had the potential to collapse or, worse, fall over. Many had young children who had heard that “planes were crashing into buildings” and pleaded for their parent to stay home. Their efforts were fueled by patriotism and cooperation among competitors risen to a level that those of my generation had rarely witnessed. One example is the story of The American Stock Exchange, which was a significant market player back in 2001 for the liquidity it provided to the equity markets and their investors. Its building, just 200 yards south of the Trade Center at 86 Trinity Place, suffered extensive structural damage. Without a backup trading floor or viable contingency plan, the AMEX was able to recommence operations and stay in business on the following Monday by moving its equities trading operations to the floor of the New York Stock Exchange and its options activities to the Philadelphia Stock Exchange, two difficult transitions that were made possible only with immense assistance from those two rival exchanges. Another example involved Garban Securities, one of the large inter-dealer brokers that together were a cornerstone of the Government securities market. Garban had more than 700 employees on the 55th floor of the South Tower and on two lower floors of the North Tower. Garban’s backup facilities were in the North Tower, a contingency setup unimaginable today. The firm survived largely due to an offer that came that same day from a competitor, Prebon Securities, which provided Garban with space in Jersey City, rent free, for its employees to report to on September 12. Unquestionably, the heroes of 9/11 were the firefighters, police, and emergency and rescue workers, who performed their duties with immeasurable courage. But we might also remember those everyday workers who compelled themselves to continue to carry out their responsibilities in the face of unparalleled challenges. In doing so, they collectively sent a message that we would not be defeated. Should, God-forbid, a similar event occur, I have no doubt that “Wall Street,” so readily disparaged these days, would respond in the same manner.